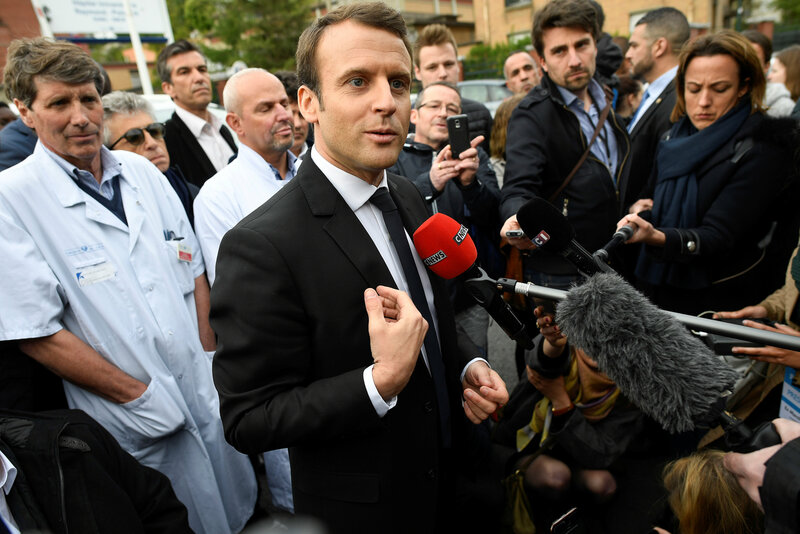 Opinion polls indicate that the business-friendly Macron, who has never held elected office, will take at least 60 percent of the vote against Le Pen after two defeated rivals pledged to back him to thwart her eurosceptic, anti-immigrant platform. However, since Sunday Le Pen has been on the offensive. She has portrayed the 39-year-old former investment banker as weak in the face of Islamist militancy, the heir to unpopular outgoing President Francois Hollande and part of the country’s privileged elite. Macron has also come under fire from potential allies and Le Pen for acting as if victory next month was already in the bag after visiting a restaurant on the Left Bank on Sunday night after his first round triumph, handing ammunition to his opponents who described it as shallow, arrogant behaviour. Speaking after Hollande warned him earlier in the day against taking victory for granted, Macron sought to regain some initiative. On France 2 television, Macron said the 48-year-old Le Pen would bring disaster to the economy and divide it with “hatred”. “When I hear Madame Le Pen’s slogans, her tones and her gestures, I see a lot more brutality on her side than mine. The brutal project, the project of hate and rejection is not on my side,” he added. A Harris poll published late on Tuesday showed that more than 60 percent of French people believed that Le Pen had begun her campaign better than Macron with more than 40 percent considering Macron’s restaurant celebration a mistake. “My opponent has a vision that is disembodied. He only has eyes for the big cities. He is addressing them,” she said, adding that unlike Macron she had campaigned in rural France. “The election is not done. The oligarchy has already installed Emmanuel Macron in the president’s seat. The people will reserve a major surprise for the oligarchy,” she said.